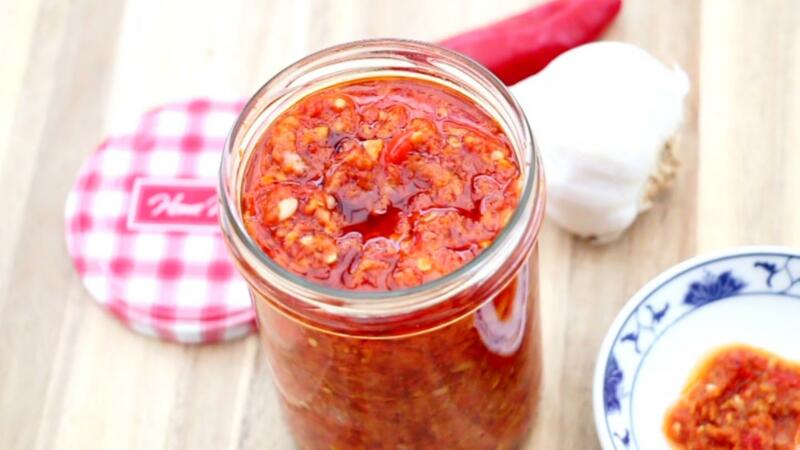 Learn how to make chilli oil at home with my secret recipe. It's perfect to drizzling over your foods for extra spice and flavor or cooking many meals and it tastes ten times better than the store bought also don't contain preservatives, additives and MSG, as well as for mixing into light or dark soy sauces and mirin and serve as a dipping sauce for Chinese dishes like dumplings, wonton or spring rolls. 1) In a frying pan, heat the oil over medium-high heat for a few minutes. 2) Add the minced garlic, fry until fragrant, and then continue fry the red chillies and bird eye chillies. Stir often for about 10 minutes and then add chilli flakes if you want extra spicy. 3) Remove from heat and let it cool completely. Pour it into a clean jar. Refrigerate and use within a month. Above the instructions is no fail recipe, and everyone can make it at home. When you don't use grams scale a recipe then you can just adjusting ingredients to your liking. 1) Knead the dough by hand in above recipe. 2) In a bowl, add (A) ingredients. 2) Push down and up and beat the dough about 15 minutes, and then add oil, kneading the dough until smooth. 3) Cover with plastic wrap, and rise in the warm place about 35°C for 1 hour until triple in sized. (Don't let the temperature reaches 45°C, It will killing the yeast). If the dough is too sticky, adding more flour as necessary. 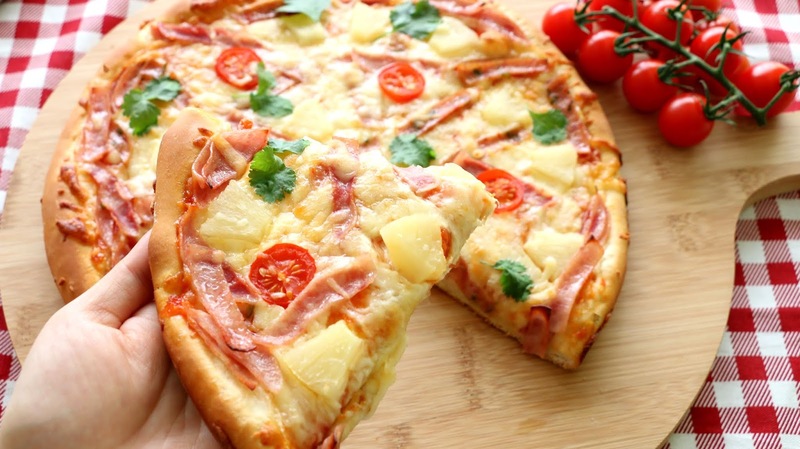 How To Make a Hawaiian Pizza - Quick & Easy! Kneading can almost always be done by hand, even this recipe calls for an bread machine. I love to knead dough by hand and enjoy the process. but recently, I have a neck pain and I can't always stand at the counter. so, the bread machine is a life saver. This is my own and the quick way when you only need pizza or slider buns. It's soft and fluffy and it keeps the shape nicely. These are the best hawaiian pizza I've tasted. 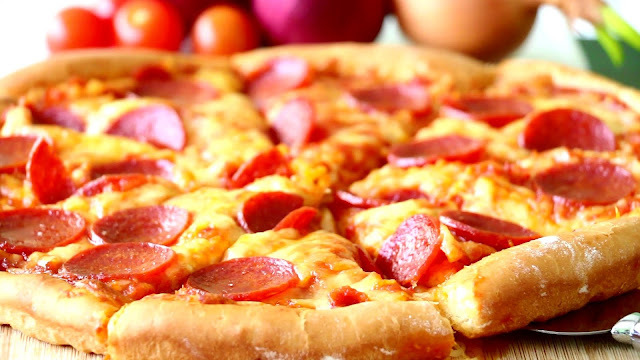 The smell of pizza has to be one of my all time favourite. • 125g - 200g grated cheddar & mozzarella cheese blend, for each pan (extra cheese, compare to restaurant) or as you prefer? 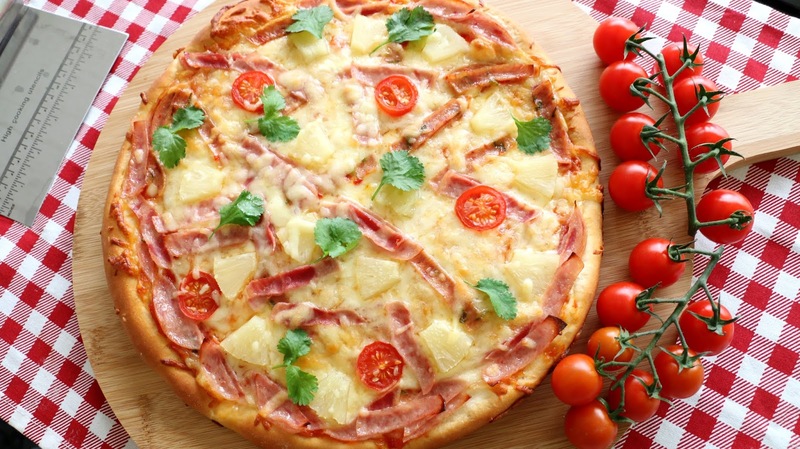 • tomatoes, pineapple chunks, ham or you can add whatever other toppings you like in addition. 5) Place the dough onto floured round pans. 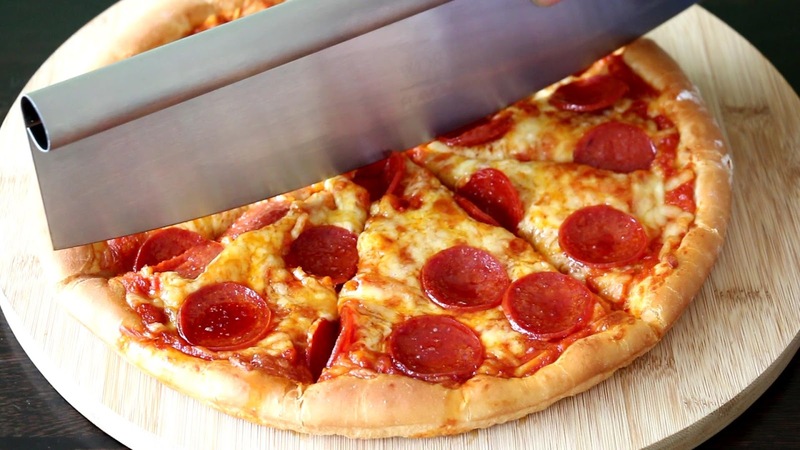 Top crusts with sauce, mozzarella cheese and add the toppings. 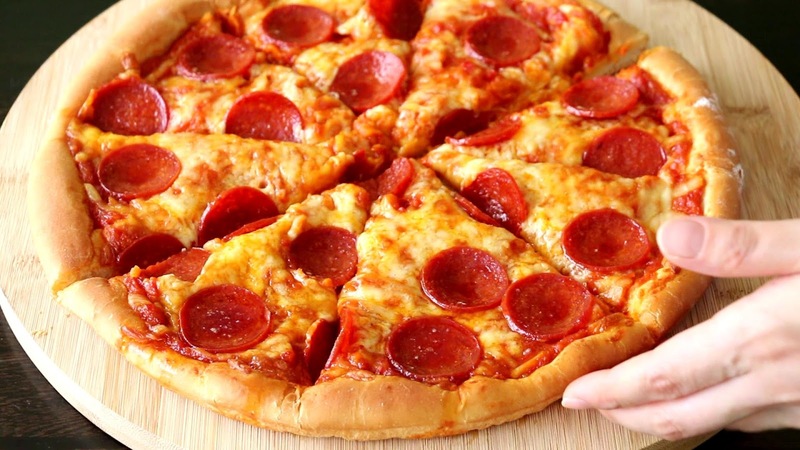 6) Using a warm oven by turn your oven on and off or with boiled water on the underneath to help your dough rise perfectly, rise again for 30 minutes to 1 hour. Don't need a preheated oven! 150ºC, Always bake with both top and bottom heat without fan assisted for 25 minutes. 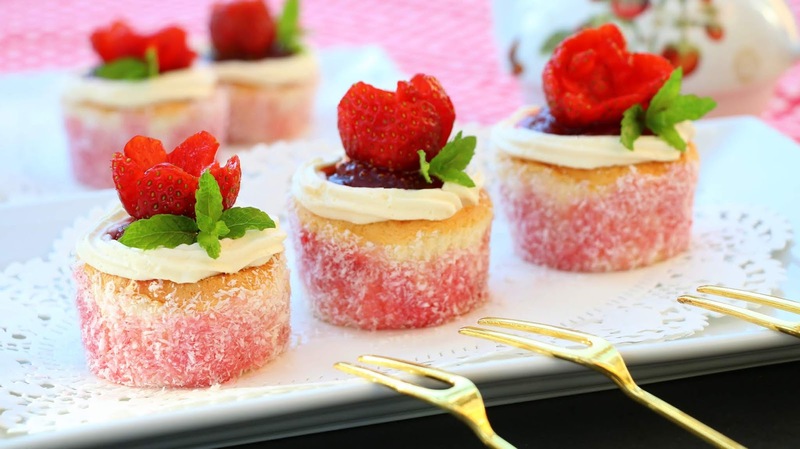 This 100% from scratch recipe uses fresh strawberries to make the strawberry jam and shredded coconut in the cake and with the most light and fluffy vanilla whipped cream. 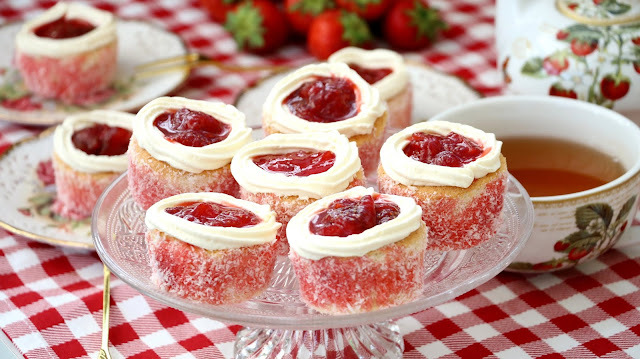 Quick, simple and easy to make and perfect served with afternoon tea or even a birthday party. 4) To prepare a water bath. Pour enough cold water in a larger pan. Bake in preheated oven 150°C for 25 minutes. Baking time it will depend on the size of your cake pan. 6) In the meantime, whip the double cream and add vanilla and sugar and whisk until it is just thick enough to hold its shape. If over whipped can be fix it easily and now read the section 1 helpful tips below. 7) Toasted the desiccated coconut and fry until fragrant. Set aside to cool and ready to use and then roll the cake up and down and topped with whisked cream and strawberry jam. 1) Over whipped cream can be fix it, add a few tablespoons of heavy cream or milk and simply re-whipping it and have it looking smooth and creamy once again. 2) Be careful not to get the saucepan hot because the melted butter will burn. 3) For guaranteed results it's important to follow exactly this recipe and baking at the right temperature is important. It's recommended to use an oven thermometer. 4) Do not bake the cake quickly at a high temperature and don't remove hot cake out of a baking pan. otherwise the cake could fall apart and crack on top. 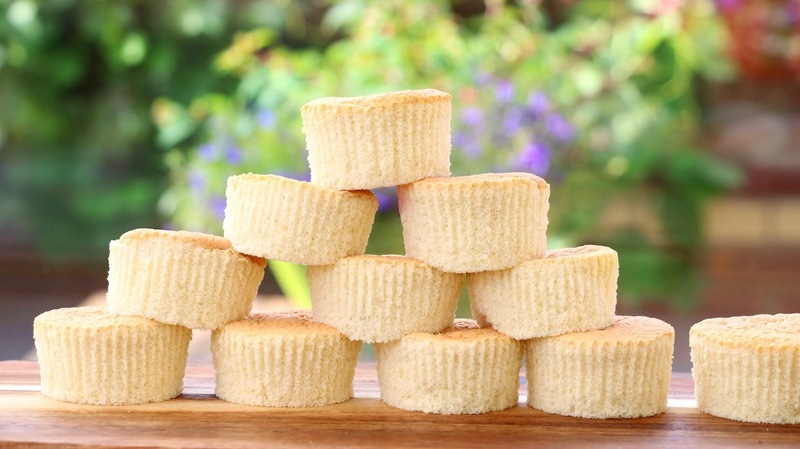 Baking cake at a lower temperature will help the cake rise much higher and bake more evenly. 6) You can test the cake by poking it with a skewer, if it's cooked the skewer will come out clean. if not pop it back in the oven and bake until it's ready. 7) Folding egg whites into a cake batter. Do not stir and never use an electric mixer. 8) Use a clean, dry bowl, free of yolk and any other oil or grease while beating egg whites. Do not over or under-beat the egg whites. Love this? 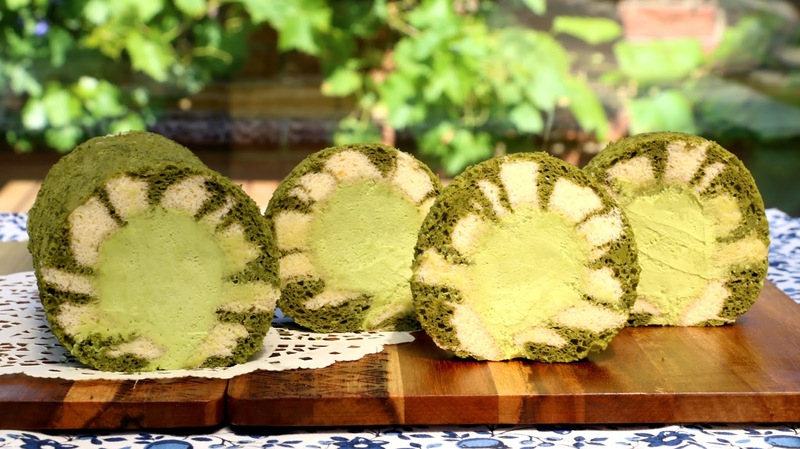 Hurricane Swiss Roll - Matcha and Vanilla flavor. A true art form and these cake simply too good to eat. You won't believe how good they are. Preheat the oven 150°C , always bake with both top and bottom heat with fan assisted. It is best to use an oven thermometer and you'll always have the exact temperature of your oven in mind. 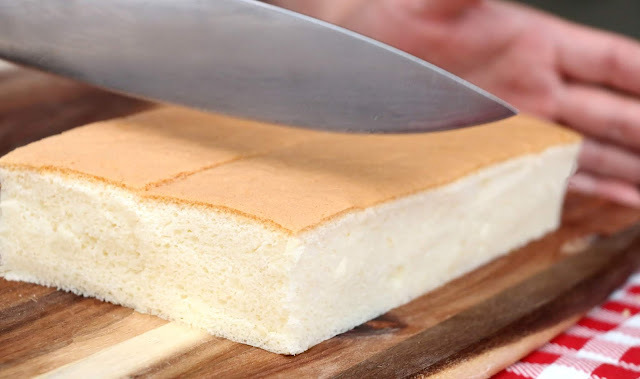 Cut a piece of baking paper to fit the base of a cake pan 23 x 23cm. 1) In a large bowl, Add egg yolks, sugar, corn oil, milk, vanilla extract, and mix together sieved cake flour and baking soda. whisk until smooth. Be careful not to over mix! 3) Carefully folding cake batter into a whites, and mix until incorporated. 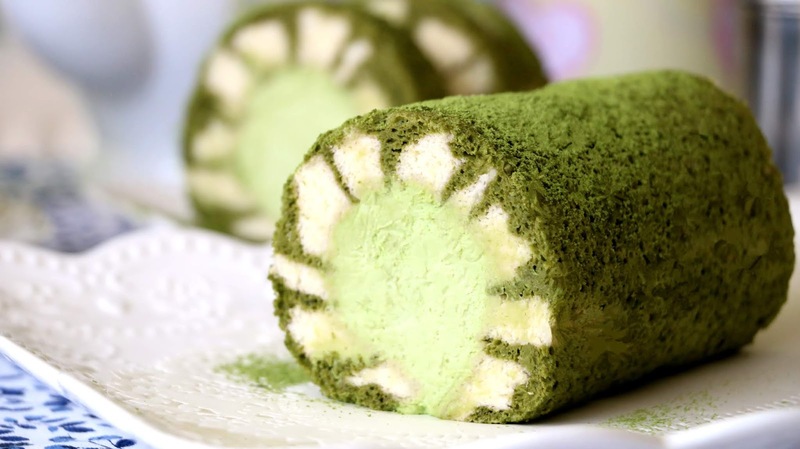 Pour half of the batter into a separate bowl, and add the matcha mixture, combine well. 4) Pour plain batter into your prepared pan and smooth it out evenly to the edges. Bang the cake pan onto the work surface to remove any air bubbles. 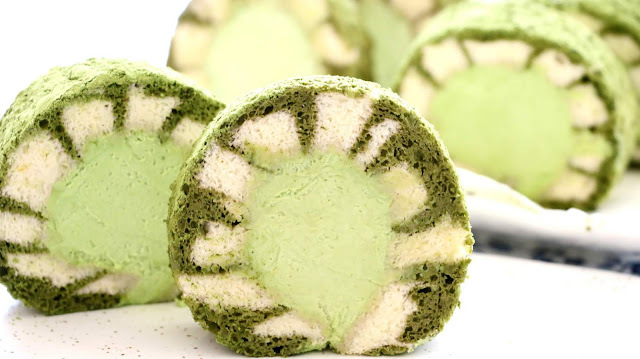 5) Squeeze the matcha batter on top. Using a fork as shown on the video and draw a ''s'' lines to make a horizontal from left to right at one side. Repeat drawing vertically from top to bottom. Bang it again to remove any air bubbles. 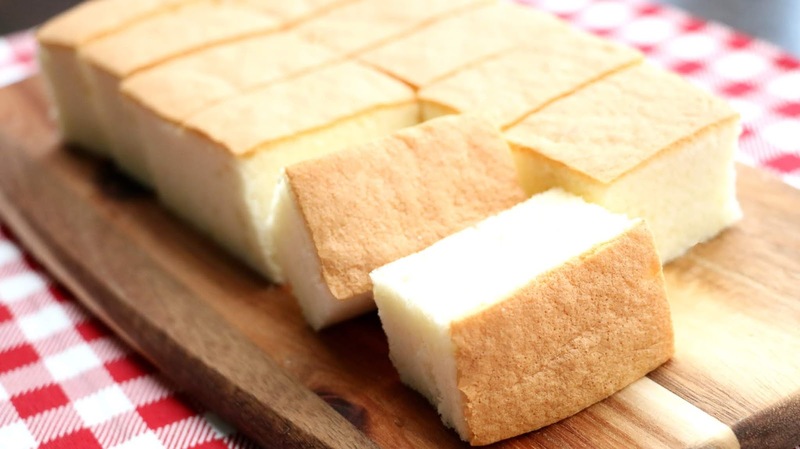 6) Bake in preheated oven 150°C for 5 minutes and 130°C for 30 minutes. Baking time it will depend on the side of your cake pan. Use a large baking pan for a cold water bath. 7) Once cooked, remove from the oven. Peel off parchment paper, roll the cake up in the paper while still hot. 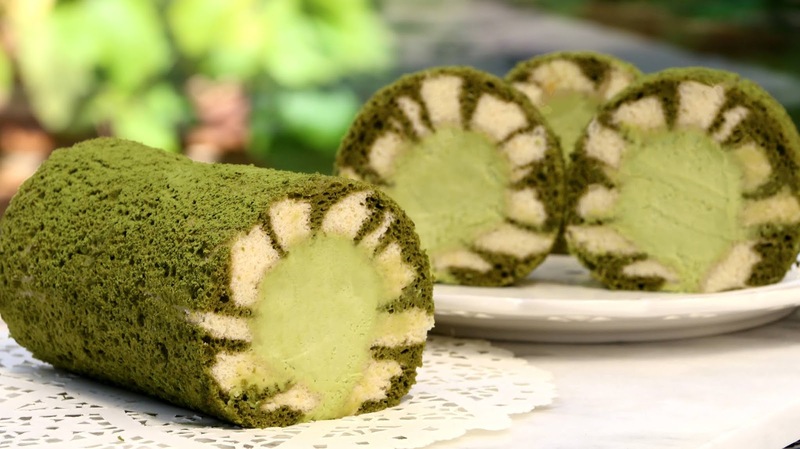 In the meantime, whip the fresh double cream, add vanilla extract, sugar and matcha mixture, and whisk until creamy and can hold the shape. Spread the cream over the cake and then roll up and chill in the refrigerator for 30 minutes and cut into slices to serve. 1) Over whisked the cream, and have it looking smooth once again, add a few tablespoon of fresh milk or cream to the grainy whipped cream and simply whisk it. 3) Whipping cream doesn’t whip up as thickly as double cream. 4) It's important to follow exactly this recipe and baking at the right temperature. 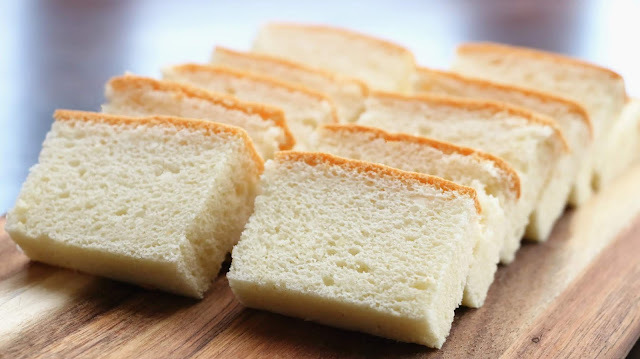 5) Do not bake the cake quickly at a high temperature and don't remove hot cake out of a baking pan. otherwise the cake could fall apart and crack on top. Baking cake at a lower temperature will help the cake rise much higher and bake more evenly. 7) You can test the cake by poking it with a skewer, if it's cooked the skewer will come out clean. if not pop it back in the oven and bake until it's ready. 8) Folding egg whites into a cake batter. Do not stir and never use an electric mixer. 9) Use a clean, dry bowl, free of yolk and any other oil or grease while beating egg whites. Do not over or under-beat the egg whites.